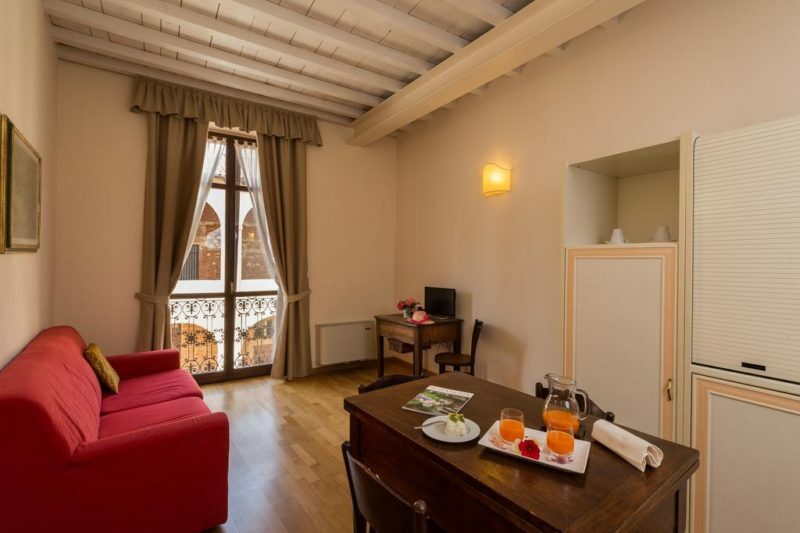 The Relais Palazzo Paleologi apartments are composed of a spacious Double Room (in some even a single bed for triple use) and a pleasant living area with a comfortable double sofa bed and a hideaway kitchenette . 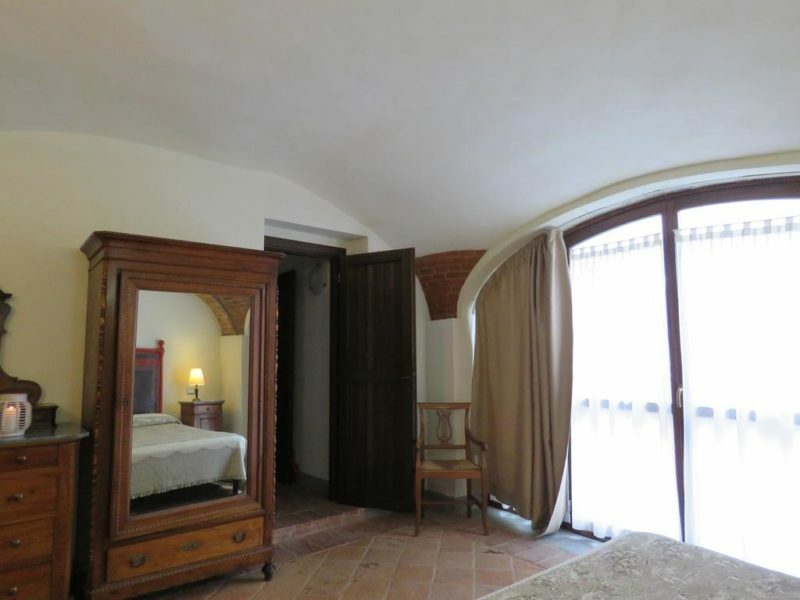 Each apartment has a capacity of 1 to 5 guests and is furnished with period furniture of traditional Piedmontese style, is equipped with modern comforts (adjustable air conditioning, wireless Internet access, direct dial telephone, television, equipped kitchen, refrigerator, etc.). 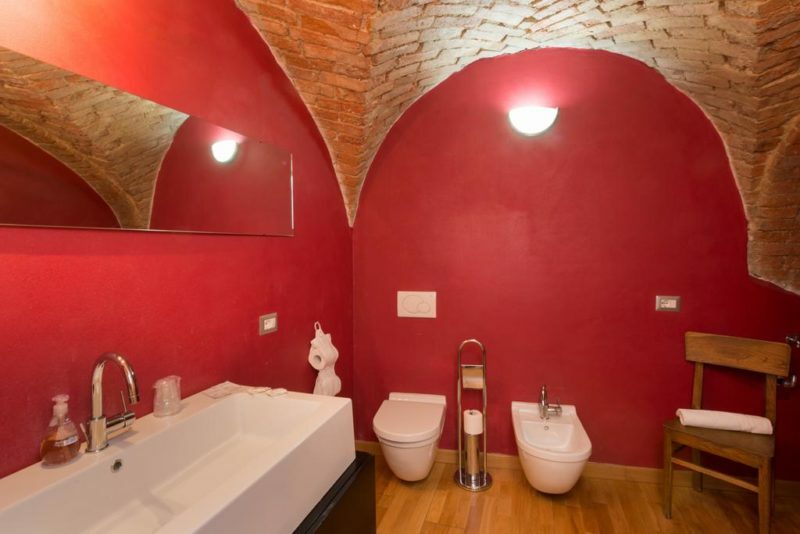 The bathroom with shower is equipped with courtesy, bathroom towels and hairdryer. 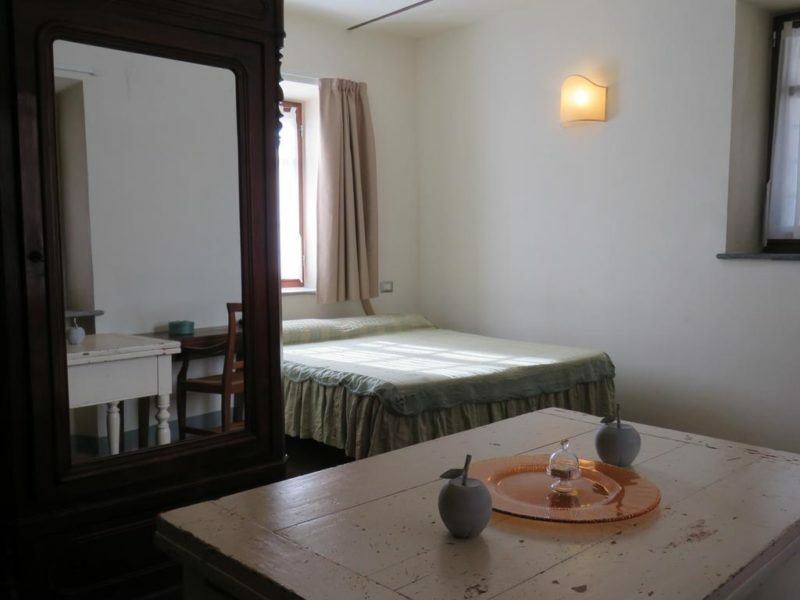 The kitchenette of these Piemonte Apartments is designed to recreate a comfortable environment like at home, thanks to the accessories it is equipped with: kitchenette with stove and sink, crockery for cooking, kettle for tea and coffee, as well as kitchen tablecloths. Special offers and advantageous discounts are active all year round. Check the availability of the apartments directly from our site! 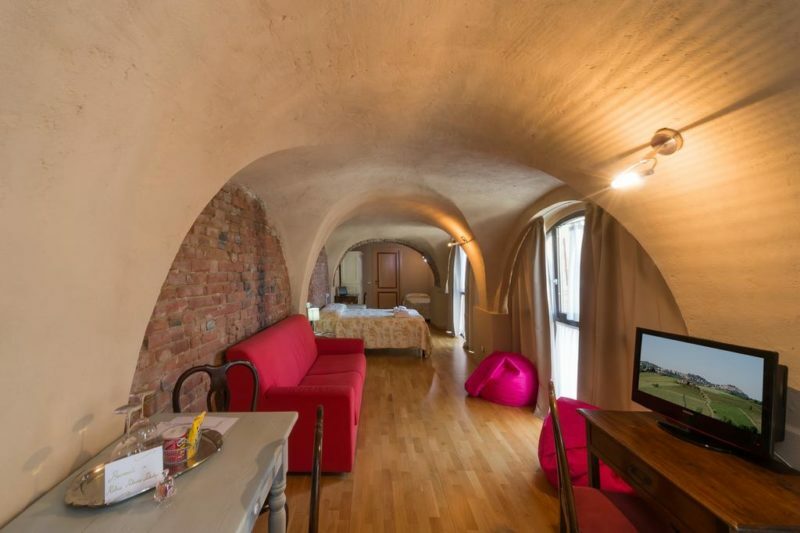 Comfort apartment with double bedroom with all modern comforts, living area with foldaway kitchen. Large apartment with a pleasant living area. Modern equipment. For two to four guests.